Welcome to Bodhi Monastery ! Bodhi Monastery provides fellowship and insight for monks, nuns or anyone interested in true happiness, freedom from suffering and a liberating spiritual path. 2019 7-Day Samatha & Vipassana Meditation Retreat. This series of lectures explores the direct teachings of the Buddha himself. Through direct study of selections from the Buddha’s discourses. Evening chanting liturgy is held seven days a week. Bodhi Monastery is a distinctive Buddhist monastery located in the rolling hills of Sussex County, New Jersey. 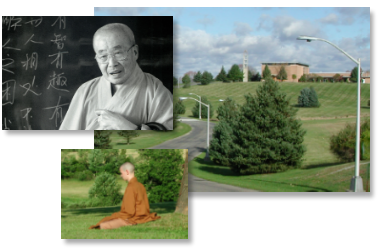 Set on 188 acres of verdant woodlands and fields, amidst herds of deer, the monastery offers a fresh yet ancient perspective on the practice of Buddhism in today’s world. Bodhi Monastery aims to promote the study and practice of Buddhism as an integral whole rather than to focus on the teachings of a particular Buddhist sect or branch.